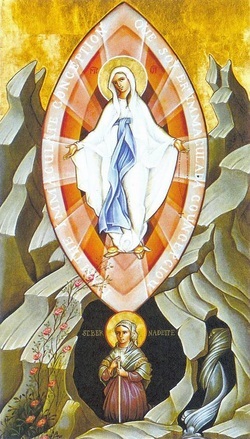 O God Who by the Immaculate Conception of the Virgin Mary didst make her a worthy habitation for Thy Son and didst by his foreseen death preserve her from all stain of sin, grant, we beseech Thee, that through her intercession we may be cleansed from sin and come with pure hearts to Thee. Through Christ our Lord. Amen. 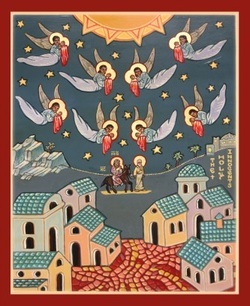 Grant, O Lord, that in all our sufferings here upon earth, for the testimony of thy truth, we may stedfastly look up to heaven, and by faith behold the glory that shall be revealed; and, being filled with the Holy Ghost, may learn to love and bless our persecutors by the example of thy first Martyr Saint Stephen, who prayed for his murderers to thee, O blessed Jesus, who standest at the right hand of God to succour all those that suffer for thee, our only Mediator and Advocate. Amen. 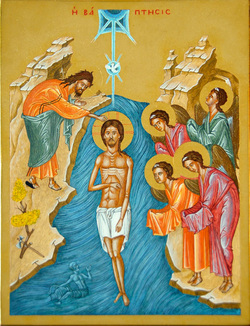 Collect: O Lord, who didst deign as at this time to receive the baptism of water at the hands of thy forerunner, grant that we may become worthy to receive at thy hands the baptism of the Holy Ghost and of fire, thou who art the way, the truth and the life, to whom be praise for evermore. Amen. 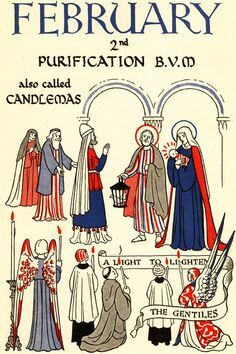 Pour forth on us, we beseech Thee, O Lord, the spirit of Thy wisdom and love, with which Thou hast replenished Thy holy Servant, St. Brigid, that sincerely obeying Thee in all things, we may by a zealous imitation of her virtues, please Thee in faith and works. Through Jesus Christ our Lord. Amen. 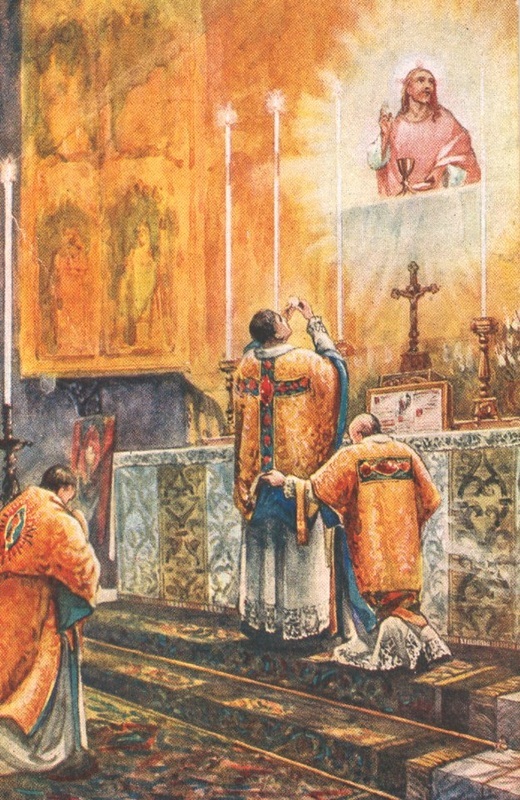 O Lord, who as on this day didst formally present thy body in the temple of thy Father, grant that we too may one day be found worthy to stand in his presence, before the shining star of whose glory the angels veil their faces, praising evermore Three Persons in One God, throughout all ages of ages. Amen. 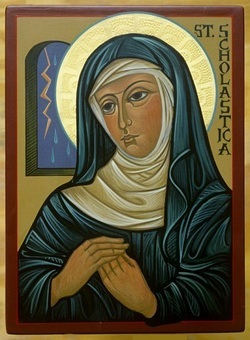 O God, who didst cause the soul of the blessed virgin Scholastica to enter heaven in the form of a dove, to show us the way of innocence, grant, by her prayers and merits, that we may live in such innocence, as to deserve to attain eternal joys. Through Christ our Lord. Amen. 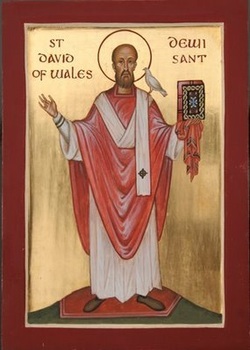 Almighty God, who in love towards thy people called thy servant David to be a faithful and wise steward of thy mysteries: mercifully grant that, following his purity of life and zeal for the whole gospel of Christ, we may with him receive thy heavenly reward, through Jesus Christ our Lord, to whom with thee and the Holy Ghost be all honour and glory, world without end. Amen. 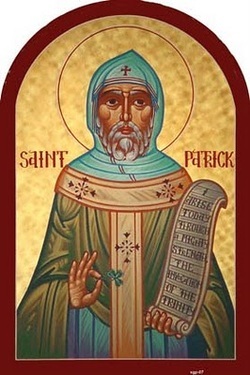 O almighty God, who in thy providence didst choose thy servant Patrick to be the apostle of the Irish people, that he might bring those who were wandering in darkness and error to the true light and knowledge of thee; Grant us so to walk in that light, that we may come at last to the light of everlasting life; through the merits of Jesus Christ thy Son our Lord. Amen. 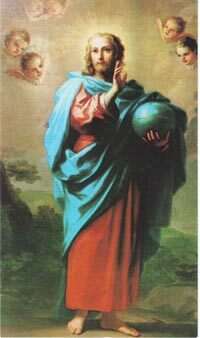 Almighty God, who chose Joseph to be the husband of the Virgin Mary and the guardian of thy Son Jesus: grant that in the family of thy holy church we may ever be united with the same thy Son, Jesus Christ our Lord, who lives and reigns with thee and the Holy Ghost, ever one God, world without end. Amen. 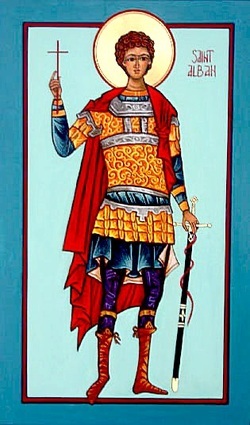 Almighty God, who hast made us heirs of all the victories of faith: Arm us, like Saint George, with such trust in the truth that is invisible, that we may seek no rest from its demands, and have no fear in its service; through the same Jesus Christ our Lord, who liveth and reigneth with thee and the Holy Ghost, ever one God, world without end. Amen. 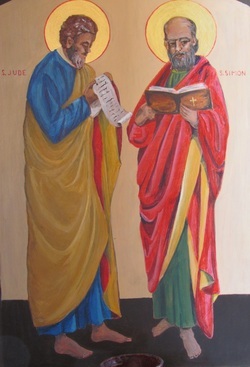 O Almighty God, whom truly to know is everlasting life: Grant us perfectly to know thy Son Jesus Christ to be the way, the truth, and the life; that, following the steps of thy holy Apostles, Saint Philip and Saint James, we may stedfastly walk in the way that leadeth to eternal life; through the same thy Son Jesus Christ our Lord. Amen. O God, who didst lead the Blessed Virgin Mary to visit Elisabeth, to their exceeding joy and comfort; Grant unto thy people, that as Mary did rejoice to be called the Mother of the Lord, so they may ever rejoice to believe the incarnation of thine only-begotten Son; to whom with thee and the Holy Ghost be all honour and glory, world without end. Amen. Epistle: 1 Sam. 2. 1-3.
who liveth and reigneth with thee and the Holy Spirit, one God, now and for ever. Amen. 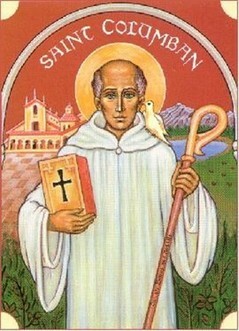 O Father of lights, from Whom descendeth every gift, and Who didst grant unto Saint Romuald perfect compunction of heart and a deep spiritual intelligence of the scriptures; renew us, we beseeech Thee, by Thy Spirit, so that, by the steady and diligent hearing of Thy word, we may be conformed to Christ Thy Son. Who with Thee liveth and reigneth in the unity of the same Holy Spirit, God forever and ever. Amen. 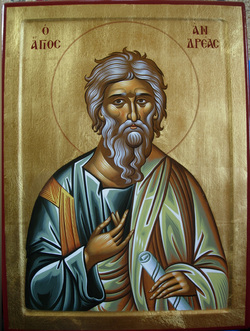 Almighty Lord, who didst endue the blessed Alban, thy martyr, with a glorious charity and courage, so that he protected a servant of thine and suffered in his stead, grant unto us all, as thou shalt give us opportunity, to defend the weak, and to support the true ; through Jesus Christ our Lord. Amen. 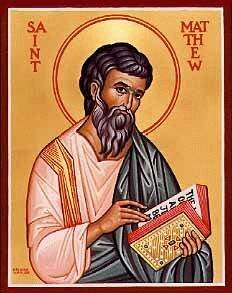 Gospel: St Matthew 16. 24-27. 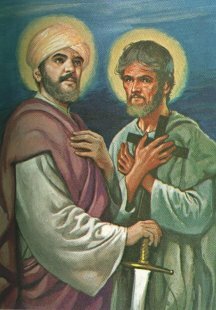 O God who hast consecrated this day by the martyrdom of thine Apostles Peter and Paul: grant unto thy Church that in all things she may follow the precepts of those through whom she received the beginning of her religion. Through Christ our Lord. Amen. 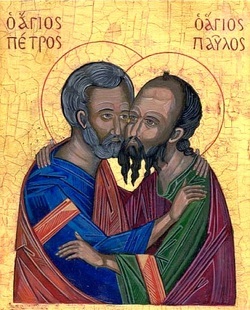 Almighty and everliving God, who for the more confirmation of the faith didst suffer thy holy Apostle Thomas to be doubtful in thy Son's resurrection: Grant us so perfectly, and without all doubt, to believe in thy Son Jesus Christ, that our faith in thy sight may never be reproved. Hear us, O Lord, through the same Jesus Christ, to whom, with thee and the Holy Ghost, be all honour and glory, now and for evermore. Amen. O God, who made the Abbot Benedict an outstanding master in the school of divine service, grant, we pray, that, putting nothing before love of thee, we may hasten with a loving heart in the way of thy commandments. Through Christ our Lord. Amen. 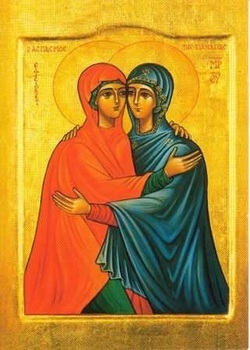 O Almighty God, whose blessed Son did call and sanctify Mary Magdalene to be a witness to his resurrection : Mercifully grant that by thy grace we may be healed of all our infirmities, and always serve thee in the power of his endless life, who with thee and the Holy Ghost liveth and reigneth one God, world without end. Amen. 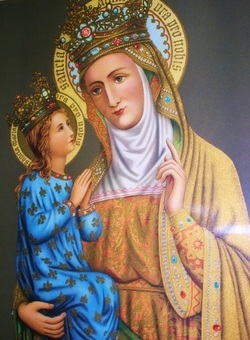 O GOD, who didst vouchsafe to give grace to blessed Saint Anne that she might be worthy to bear the Mother of thine only begotten Son: mercifully grant that we who rejoice in the observance of her feast day, may by her intercession find favour in thy sight. Through the same. 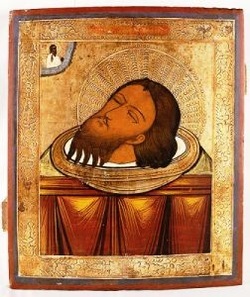 Merciful God, whose servant Joseph of Arimathaea with reverence and godly fear did prepare the body of our Lord and Savior for burial, and did lay it in his own tomb: Grant, we beseech thee, to us thy faithful people grace and courage to love and serve Jesus with sincere devotion all the days of our life; through the same Jesus Christ our Lord, who liveth and reigneth with thee and the Holy Spirit, one God, for ever and ever. Amen. O God, who didst establish Thy only begotten Son as Redeemer of the world and through Him, having overcome death, didst restore us mercifully unto life: grant that, recollecting these benefits, we may be made worthy to receive the fruit of that redemption. Through Christ our Lord. Amen. 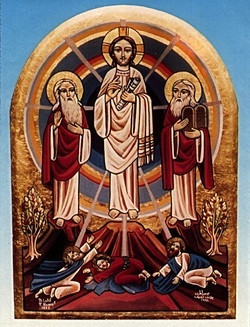 O Lord Christ, who upon Mount Tabor didst show thyself in thy true glory unto thy disciples, grant that we thy humble servants may also in due time ascend the holy mountain and be transfigured into thy likeness, O thou great King of glory, to whom be praise and adoration for evermore. Amen. 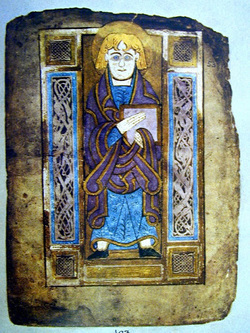 O God, the light of the faithful, and shepherd of souls, who didst set Our Holy Father St Tugdual to be a bishop in the Church, that he might feed thy sheep by his word and guide them by his example; Grant us, we pray thee, to keep the faith which he taught, and to follow in his footsteps; through Jesus Christ our Lord. Amen. Epistle. 1 Tim. 3. 15-16. 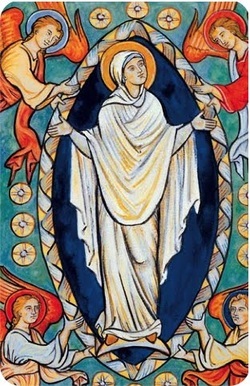 O Lord Christ, who for her wondrous humility and purity hast exalted Our Lady St Mary among the hosts of heaven, grant that we, thy people, may so follow that her most noble example, that we may at the latter end be found worthy to serve thee, even as do thy holy angels, thou who livest and reignest in glory for evermore. Amen. O God, who didst vouchsafe to thy servant John Baptist to be in birth and death the forerunner of thy Son; Grant that as he was slain for truth and righteousness, so we may contend for the same unto the end; for the love of thy Son Jesus Christ our Lord. Amen. We thank thee, O God, for that most sweet and laudable pattern set before us by Our Lady St Mary, mother of Jesus, whom thy holy church hath ever held up unto her people as a bright ensample of purity and godly life; and we pray that on this feast of her nativity there may shine forth within us the light of ever-growing purity and holiness; through Christ our Lord. Amen. Almighty God, whose only-begotten Son Jesus Christ was lifted up on the Cross to draw all men unto him: grant that we may ever glory in that Cross, which is to us the sign of our redemption; thorugh the same Jesus Christ our Lord. Amen. 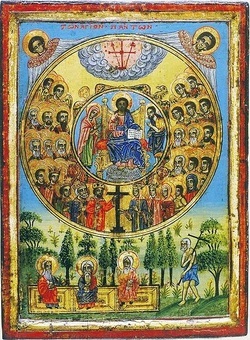 O LORD Jesus Christ, who in thy earthly life didst share man’s toil, and thereby hallow the labour of his hands: Prosper all those who maintain the industries of this land; and give them pride in their work, a just reward for their labour, and joy both in supplying the needs of others and in serving thee their Saviour; who with the Father and the Holy Spirit livest and reignest, ever one God, world without end. Amen. Almighty and everlasting God, with all our hearts we praise thee for the great glory of thy most holy Archangel Michael and all thy holy Angels; we thank thee for their wonderful wisdom, their supreme strength, their radiant beauty; and, as their restless power is used always and utterly in thy service, so may we, following zealously their resplendent example, devote ourselves wholly to the helping of our brethren; through Christ our Lord. Amen. 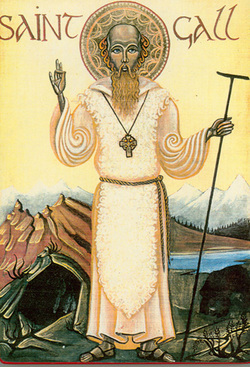 O God, by whose grace the blessed abbot Gall enkindled with the fire of thy love, became a burning and a shining light in thy Church; Grant that we may be inflamed with the same spirit of discipline and love, and ever walk before thee as children of light; through Jesus Christ our Lord. Amen. Gospel: St Luke 6. 20-23. 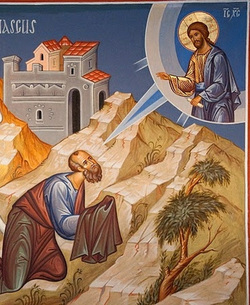 Almighty God, who calledst Luke the Physician, whose praise is in the Gospel, to be an Evangelist, and Physician of the soul: May it please thee that, by the wholesome medicines of the doctrine delivered by him, all the diseases of our souls may be healed; through the merits of thy Son Jesus Christ our Lord. Amen. O Lord Christ, who hast dominion over the living and the dead and dost hold all thy people in the everlasting arms of thy love, we thank thee for the joyous rest which thou dost give to those who pass through the gateway of death to a fuller life with thee; and we pray thee that, as thou didst preach to the spirits in prison, so may our earnest efforts avail to bring refreshment, light and peace to those who know thee not as yet, O Lord of the living Spirit, who with the Father and the Holy Ghost reignest one God for evermore. Amen. O God who callest Martin from military service to be a leader in the army of Christ: Give us grace to follow his faith, his compassion and his apostolic zeal that others may be won by us into the ranks of righteousness; through the same Thy Son, Jesus Christ our Lord. Amen. Almighty and ever–faithful God, who ceaselessly bestows the gift of monastic life upon thy Church, grant us, we beseech thee, perseverance in that same vocation that we may advance full of gratitude for those who have gone before us on this path, holding nothing more dear than Christ. Who lives and reigns with thee in the unity of the Holy Ghost, one God, throughout all ages of ages. Amen. O God who, in Saint Columbanus, wonderfully joined the work of evangelization to the practice of the monastic life, grant, we beseech Thee, that through his intercession and example,we may seek Thee above all things and work to increase the number of those who believe. Through Christ our Lord. Amen. NOTE: The dates of feast days given here follow the modern Roman usage, as most of our community use the Roman rite for the Divine Office even if other rites are used for the Mass. OF A MARTYR OR MARTYRS. Collect. Almighty God, by whose grace and power thy holy Martyr N. or M. triumphed over suffering, and despised death; Grant, we beseech thee, that enduring hardness, and waxing valiant in fight, we may with the noble army of martyrs receive the crown of everlasting life ; through Jesus Christ our Lord. Amen. Collect. O God, who hast enlightened thy Church by the teaching of thy servant N.; Enrich it evermore, we beseech thee, with thy heavenly grace, and raise up faithful witnesses, who by their life and doctrine may set forth to all men the truth of thy salvation; through Jesus Christ our Lord. Amen. Collect. 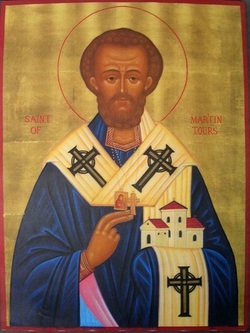 O God, the light of the faithful, and shepherd of souls, who didst set blessed N. to be a bishop in the Church, that he might feed thy sheep by his word and guide them by his example; Grant us, we pray thee, to keep the faith which he taught, and to follow in his footsteps; through Jesus Christ our Lord. Amen. Collect. O God, by whose grace the blessed abbot N.,enkindled with the fire of thy love, became a burning and a shining light in thy Church; Grant that we may be inflamed with the same spirit of discipline and love, and ever walk before thee as children of light; through Jesus Christ our Lord. Amen. Collect. O God, who didst endue thy holy Virgin N. with grace to witness a good confession, and to suffer gladly for thy sake; Grant that we, after her example, may be found ready when the Bridegroom cometh, and enter with him to the marriage feast; through the same thy Son Jesus Christ our Lord. Amen. Collect. 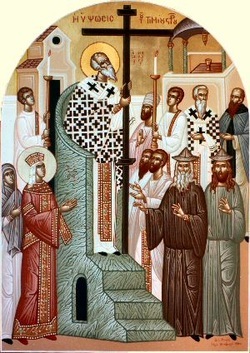 O God, who hast built up thy Church through the divers gifts and graces of thy saints; we give thee humble thanks for the example of holy women, and especially this day for thy servant N., and we beseech thee to maintain among us the shelter of a mother’s love and the protection of a mother’s prayer, in the grace of thy Son, Jesus Christ our Lord. Amen. Epistle. 1 Pet. 1. 3-9. Collect. 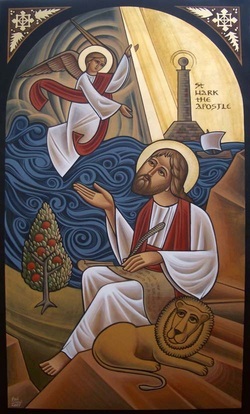 O Almighty God, who wiliest to be glorified in thy saints and didst raise up thy servant N. to shine as a light in the world: shine, we pray thee, in our hearts, that we also in our generation may shew forth thy praises, who hast called us out of darkness into thy marvellous light; through Jesus Christ our Lord. Amen.